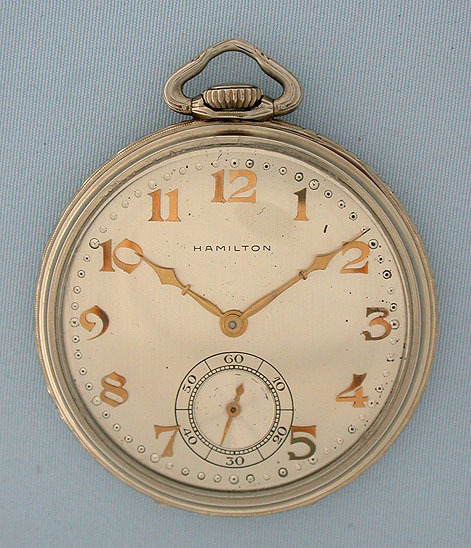 Fine Hamilton Masterpiece 23 jewel 18K white gold slim 12/S antique dress pocket watch circa 1926. 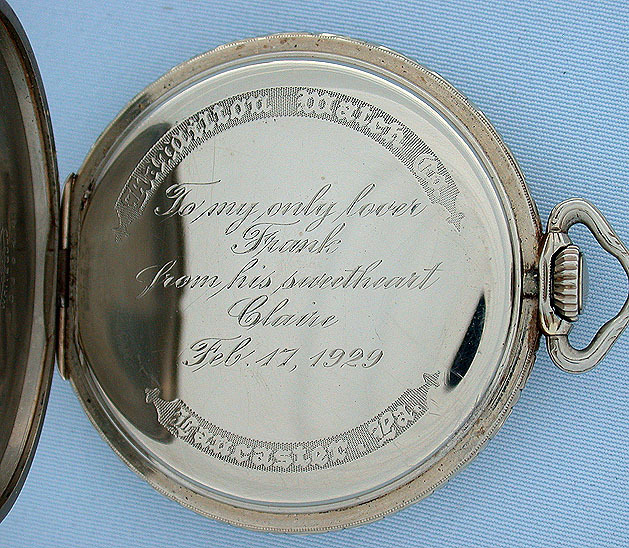 Silver dial with applied gold numerals and gold hands. 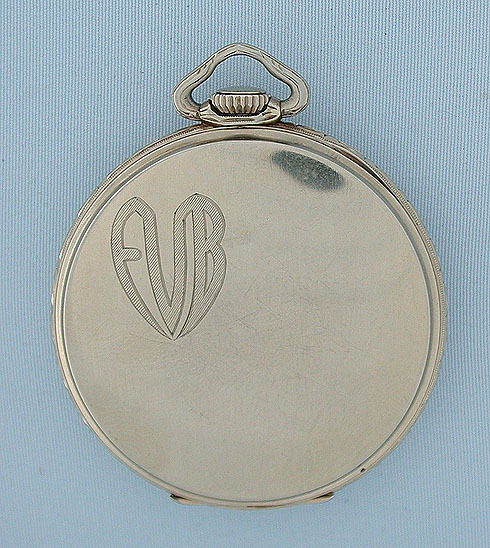 Plain polish case with monogram. First quality nickel 23 jewel 5 adjustment movement with screwed gold jewel settings, gold escutcheons, and precision regulator. 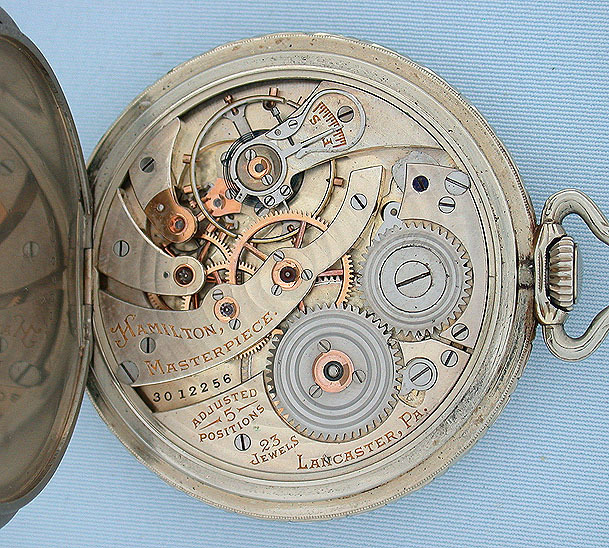 This was Hamilton's top of the line 12 Size movement.